Let's Start with Lobster – Orlando Magical Dining Month 2018 — Rona. The star: Big Fin's broiled Maine lobster tail with garlic mashed potatoes and French-style green beans. It's one of four entree choices on the restaurant's Magical Dining menu for 2018. Step one: Lobster. Well, lobster tail. It will be at Big Fin Seafood Kitchen, served with garlic-mashed potatoes and French-style green beans. This entree will be one of four options you'll have as part of a three-course dinner sold for $35. In fact, Big Fin is one of 100+ Orlando-area restaurants that will be serving three-course Magical Dining dinners for $35 from August 24 through September 30. Above are the three other Big Fin Magical Dining entree optoins: Big Fin Trio with popcorn shrimp, bay scallops, catfish, french fries and cole slaw; filet mignon with potatoes and asparagus; and Shrimp Orleans, blackened shrimp with spinach, mushrooms, sun-dried tomatoes, crawfish Parmesan grits and Cajun cream sauce. Pardon the italics, but I can't figure out how to add a caption to a SquareSpace photo grid. Magical Dining is a month-long market-wide effort to get more locals into area restaurants during a traditionally slow season. Put together by Visit Orlando, the tourism folks, it's a boon for those who like to try new places. 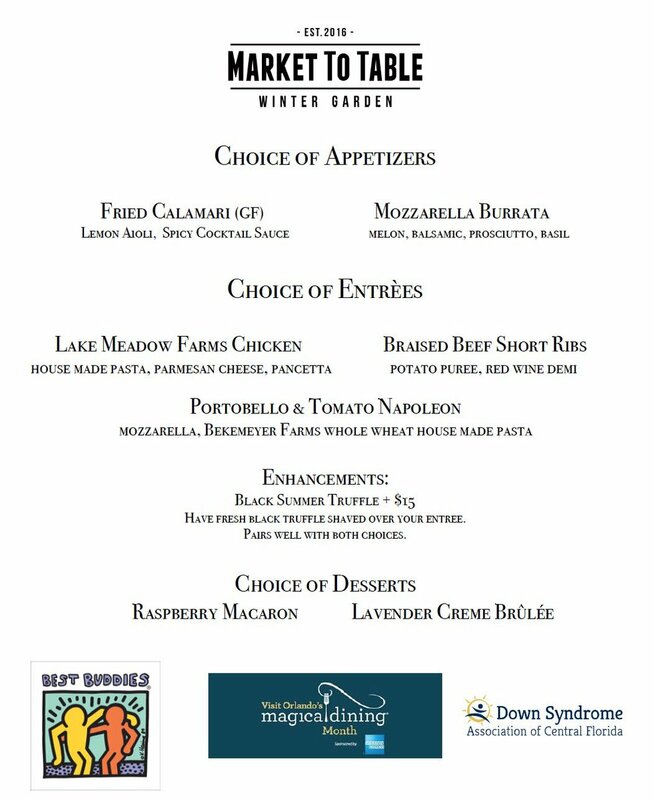 Plus, each restaurant donates $1 of every Magical Dining meal served to Best Buddies or Down Syndrome Association of Central Florida, so, there's a do-good aspect to pampering yourself with a multi-course dinner. I sampled some of the Big Fin Magical Dining dinner as part of a media preview, and here's why I wanted to try it: A few years back, writing a feature for a now-defunct city magazine, I found Big Fin to have the best value of all Magical Dining meals that year. I sifted through every single Magical Dining menu, compared it to every regular menu in the same restaurant, and found Big Fin to offer the best true discount. Is that still the case today? I don't know. But if you like broiled Maine lobster tail or filet mignon, this is a good bet for you. 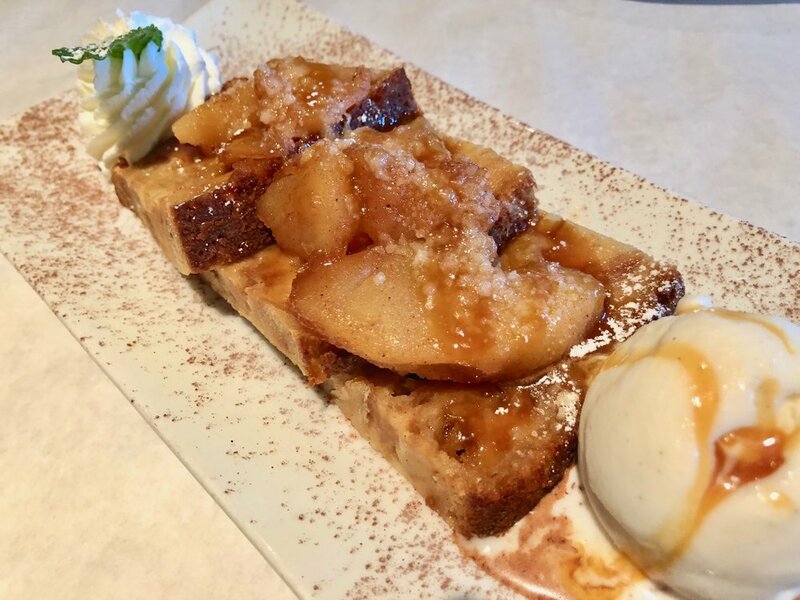 Click here to see the full menu, which includes raw oysters, and an aromatic apple bread pudding that is quite the treat. If you enjoy dining out, or even want one special meal on the town at a discounted price, start surfing through the participating restaurants at this link. You're in for a delightful culinary ride. P.S. Lobster seems to be a the theme this year. 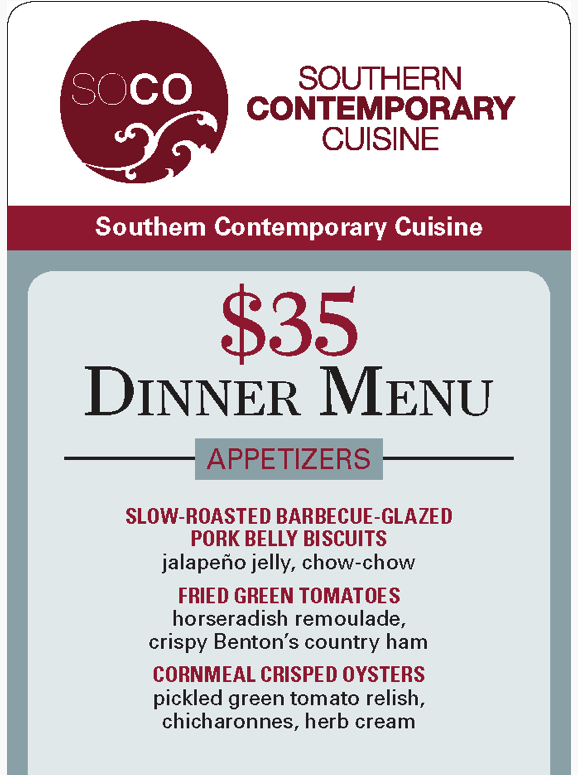 I just received an email from the New Southern restaurant Soco, in Thornton Park. One of its Orlando Magical Dining Month 2018 entrees is grilled meatloaf on lobster mashed potatoes. The entire menu looks terrific. Here are screen shots. Link to it here. Add-on! Someone on LinkedIn just reminded me about Dragonfly Robata in Dr. Phillips. I took a look at tis Magical Dining menu and WOW. It's below. I'll be there, for sure. Add-on August 212, 2018 – So apparently I'm not done writing this post. I keep learning of other Magical Dining Month menus worth featuring. Here's one from Market to Table, Chef Ryan Freelove's intimate Modern American space in charming historic Winter Garden. I don't recall ever seeing Market to Table participate in a promotion before. This is a nice restaurant, and #MagicalDining is a great way to give it a try. I'm thinkin' ... those braised short ribs followed by the raspberry macaron sounds like quite a tempting dinner. While we're at it, let me give a plug to Ravello. It's an Italian restaurant, and it's inside Orlando's Four Seasons. Don't panic about price: First off, this is a $35, 3-course meal, remember? Second, Ravello is one of the best Italian restaurants in town, and it always has several reasonably priced dishes. I sincerely like this place. Take a look at the #MagicalDining menu. There's braised beef here, with a Barbera wine sauce, and red Florida redfish with rapini (the Italian name for broccoli rabe), garlic, a green sauce and potato. For dessert, let's talk about that salted caramel budino, which is an Italian pudding. Heavens I hope someone goes there the first night and lets me know how that is. Obviously you'll need to keep checking back for more additions. Once you start trying out these menus, please, please, please report back in the comments below. Let's get a conversation going about what's fab and what to skip.